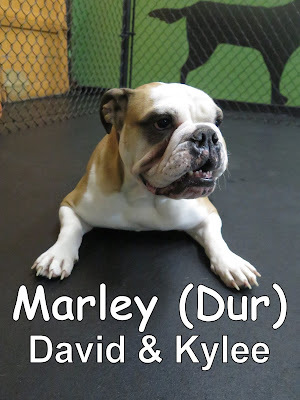 Marley is one of the dogs that assessed with us this morning and I must say, this two year old, English Bulldog, is one goofy girl! Marley immediately started mingling among her new friends the moment she arrived and showed great Dog Speak! We were able to capture her on video doing just that; check it out below! Marley wasn't the only one checking us out for the first time today; say hello to her sister, Sally. 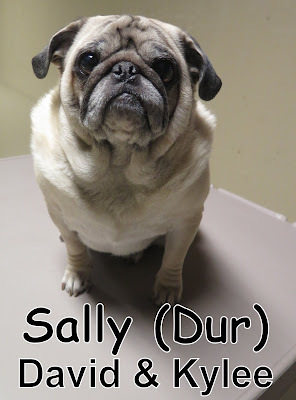 She's a three year old Pug! Sally had a marvelous time being a dog and doing dog things with her own kind today. We even got her in action! Marley and Sally plan on boarding with us this weekend; I'll be looking forward to seeing them again. Bramble (not the British blackberry bush) joined us for his assessment today. Bramble is a 3 year-old, 11 lbs., Cavalier King Charles Spaniel. He entered Fort Fido as ready as can be and made his way into The Fort. 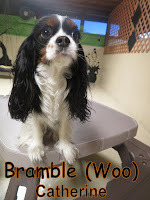 Once there, Bramble up and into our Small Dog Program where he stayed throughout his assessment. Bramble was able to meet many other pups today as they came in throughout the morning and was able to mingle with them. 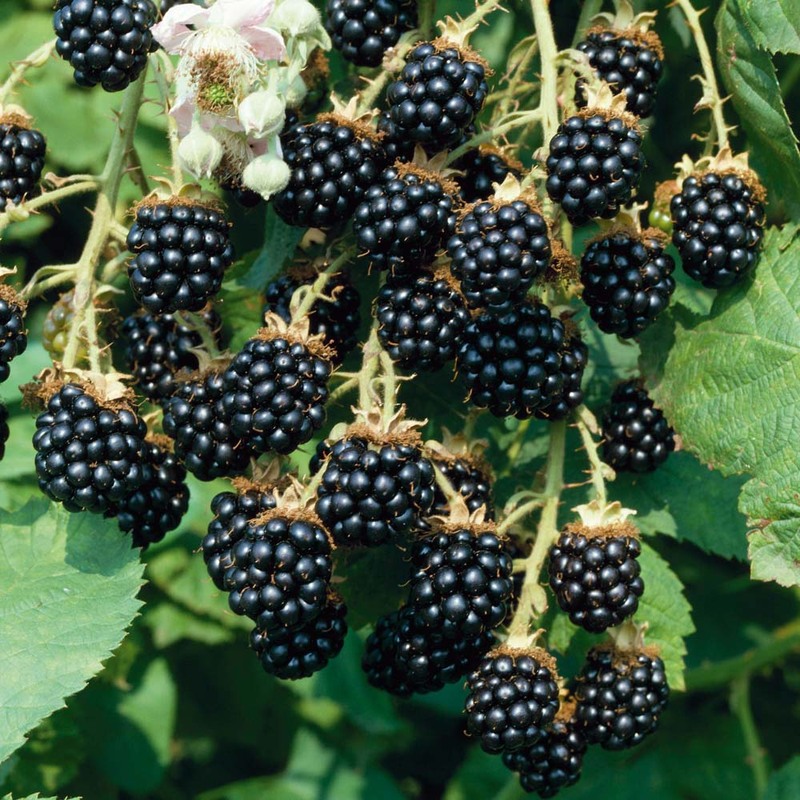 We are looking forward to seeing Bramble more. 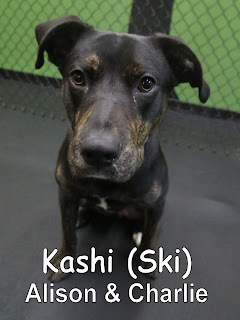 This morning we had the pleasure of meeting Kashi. He is a ten-month-old, forty-seven-pound, Lab/Border Collie mix. He joined our Medium Dog Program where he enjoyed mingling with the other dogs. As he became more comfortable here, he started playing with Neo a three-month-old Husky puppy. Kashi is welcome back anytime. We look forward to seeing him again soon. 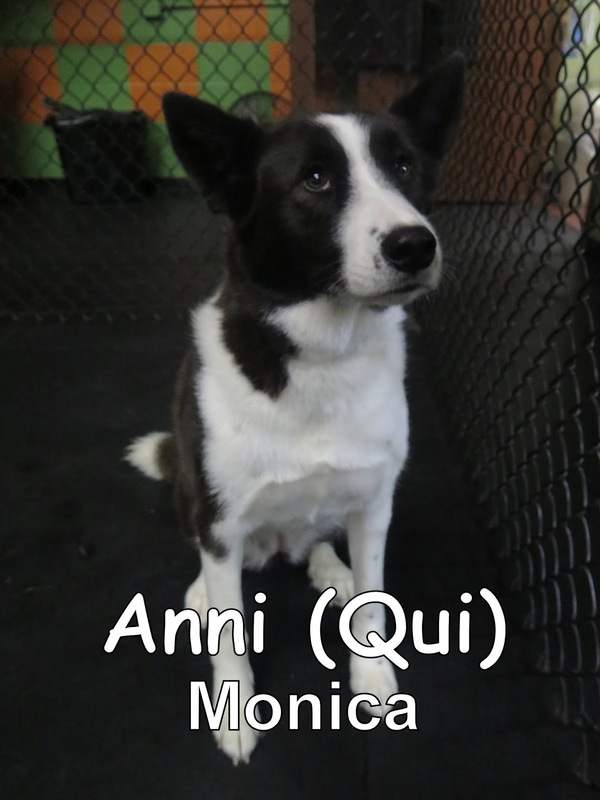 Anni came in for her assessment this morning as well. 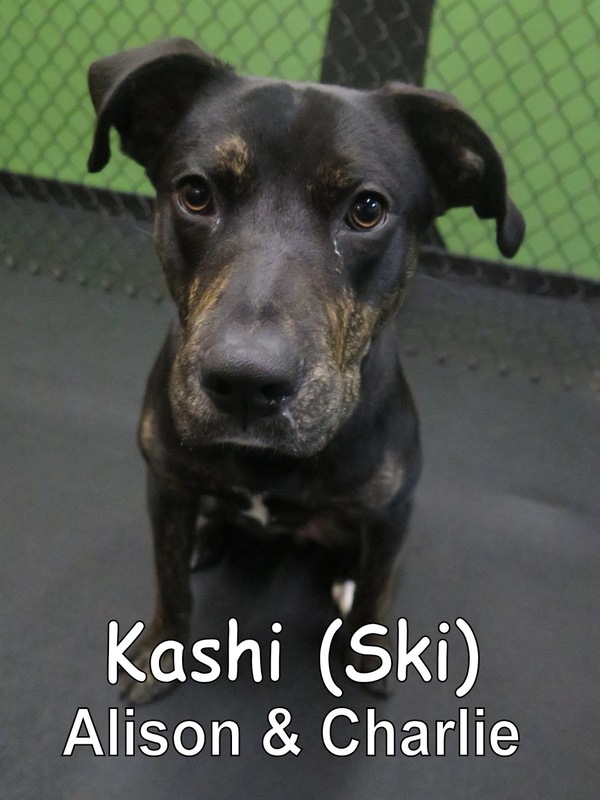 She is a three-year-old, fifty-five-pound, Husky x Akita x Border Collie mix. Anni "spoke" very good dog and made lots of new friends in our Large Dog Program. We hope to see her again soon. Good job today, Anni. Here is a clip of Anni playing with Diego the Golden Retriever. 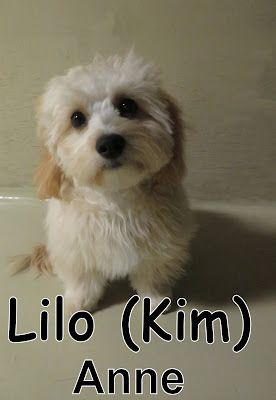 Yesterday we welcomed this little cutie into our Small Dog Program. 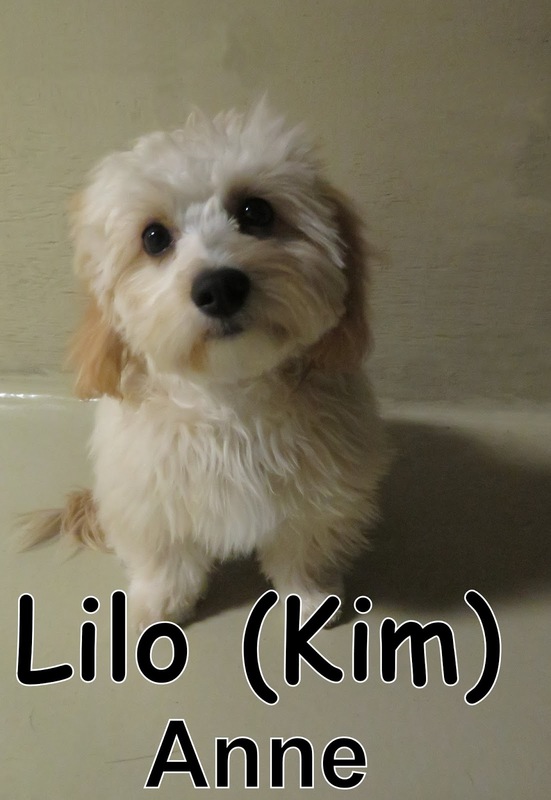 She's a five month old, seven pound Maltipoo with a whole lot of cuteness to pass around! Lilo had a lot of fun exploring her new hang out area. She curiously went around, sniffing all the fun toys we have up there for them! It was adorable to watch. Sadie was today's assessment. She's a one year old Mix that weighs fifty pounds. 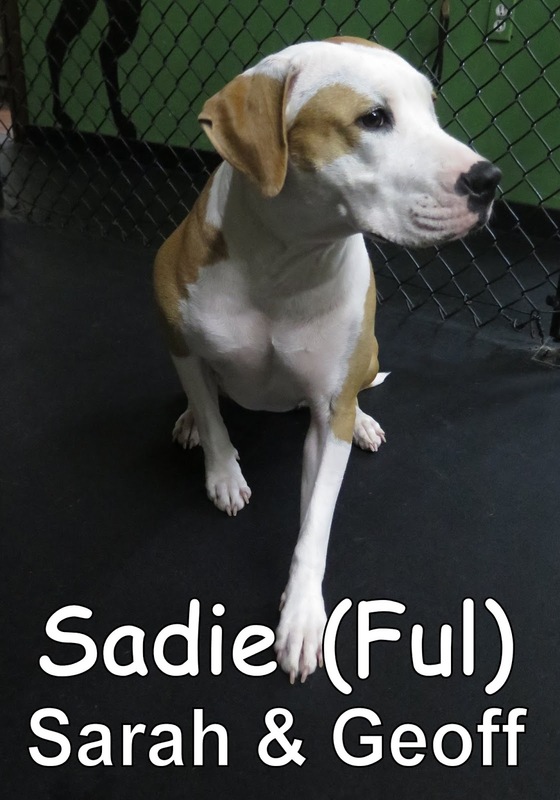 Sadie started off with a rough life; she was found behind a car dealership and was so under-malnourished that she looked incredibly old. It wasn't until after she was rescued and cleaned up, that they realized how young she is! I'd say this girl is one lucky pup! Starting off on the streets and now has an amazing home with owners who care for her, and want to get her socialized! Sadie passed her assessment with flying colors and even made some new friends: Scandi and Abby. Both Lilo and Sadie are welcome to return for more daycare fun whenever they please! I found some cool articles, videos, and pictures worth taking a gander at. Check them out below! We got some great clips of the action yesterday. This first one is from our Medium Dog Program, it features Neo the Husky puppy and MJ the Vizsla. 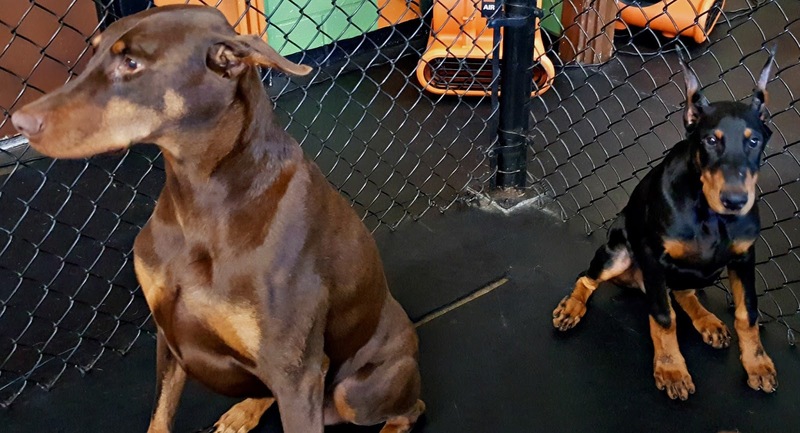 This next clip shows Champ and Mabel tearing it up in our Large Dog Program. Finally, we have Henry and Pearl playing ball in our Small Dog Program. 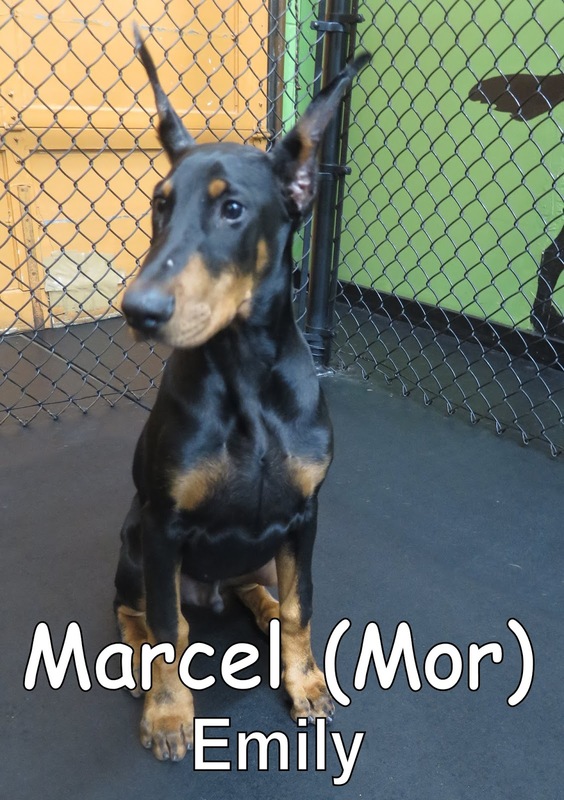 We welcomed Marcel into our Medium Dog Program yesterday morning. He's a three month old, forty pound Doberman Pinscher. Marcel was recommended to The Fort through one of our long time customers, Zeus, whose been coming here since 2012! I was able to capture a couple photos of the two together. All in all, he had a wonderful first day. He's a smart young pup with a beautiful shiny coat, and lots of energy to burn! Marcel's first friend was Neo, an adorable Siberian Husky that joined us not too long ago. We were able to catch a video of the two playing. Feel free to check it out below! 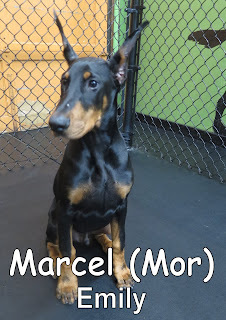 Marcel had such a great time with us, that he decided to come back for more daycare fun today! Initially, he started out with the "medium" dogs but we decided to graduate him to our Large Dog Program today. Guess what type of dog he bonded to in that program? Another Husky. I don't blame him though; he sure has some good taste! Here he is, playing with Rogue! As you can see, this little guy is quite the social butterfly. I was lucky enough to get quite a bit of photos of him in action too. We look forward to watching Marcel blossom and grow with us. Nala entered Fort Fido comfortably this morning. 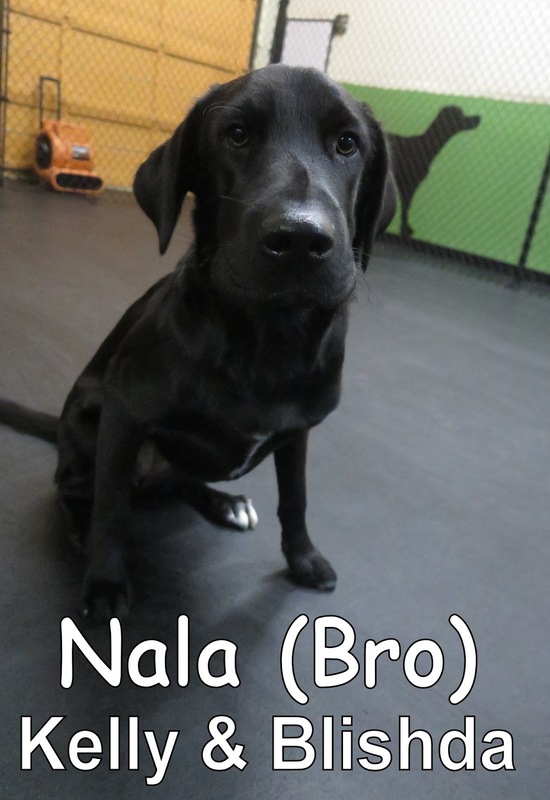 Nala is a cute 10 month-old Lab/Border collie mix that entered Fort Fido confidently and strolled right into our medium dog program. She has a sister that already attends Fort Fido named Dixie. Within our medium dog program, Nala began to meet the others as they came in throughout the day. She showed good dog speak and began to play with the others after becoming comfortable with her surroundings. Unlike the Naga from Warcraft III, Nala likes to mingle & play with dogs rather than water beings like the Naga. Nala fits in well with the rest of the pups and we, as well as the other dogs, are looking forward to seeing Nala again. Charlie came in for his assessment bright and early this morning. He is a nine-year-old, twenty-five-pound, Cairn Terrier. 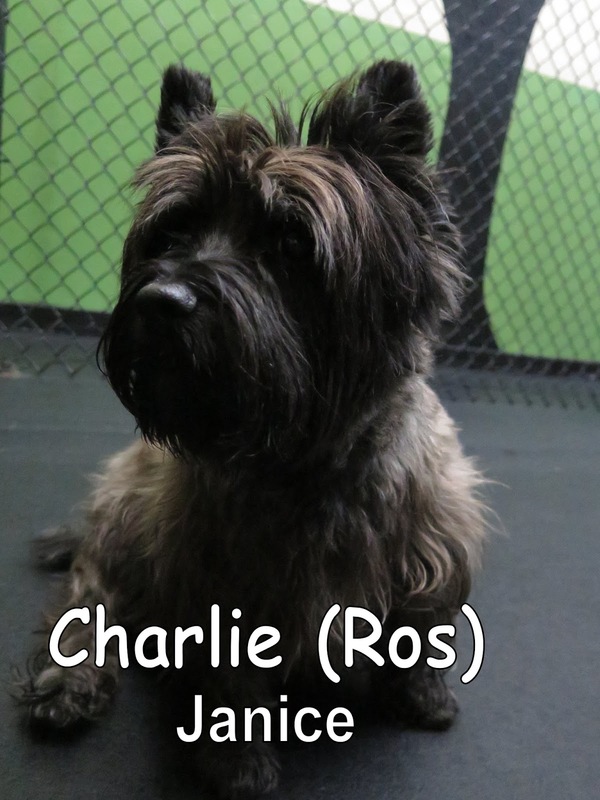 Charlie was a great fit for our Medium Dog Program. He "spoke" good dog and played very well with the others. One of his favorite new friends is Neo, a three-month-old Husky puppy. We look forward to seeing him again very soon. Good job today, Charlie! Check out this clip of Charlie and Neo playing this morning. 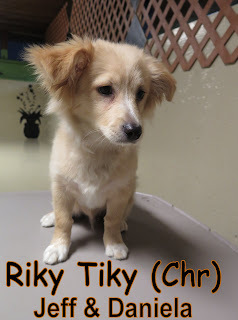 Yesterday, we had the pleasure of meeting Riky Tiky. 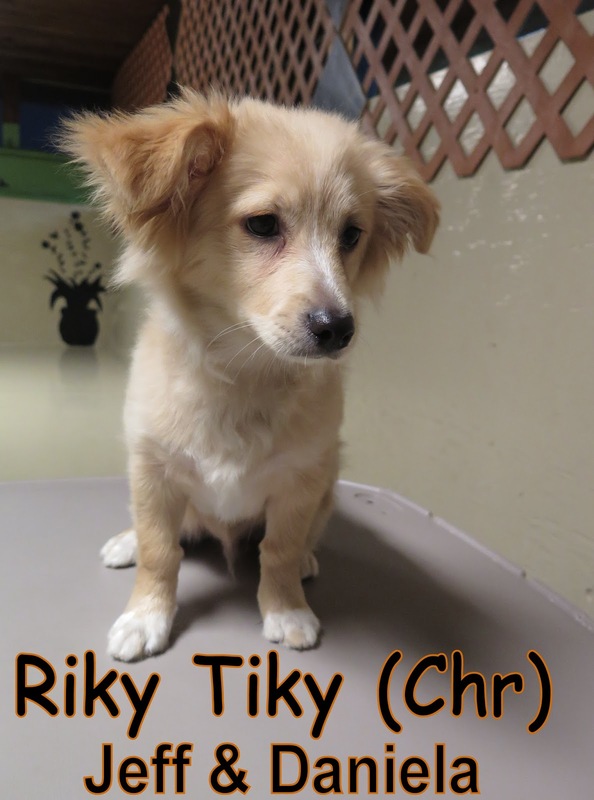 He is an adorable five-month-old, eight-pound, Pomeranian/Dachshund mix. He spent his first day at the Fort playing with the dogs in our Small Dog Program. He did a good job and had a lot of fun. He is welcome back anytime. We look forward to seeing him again soon. 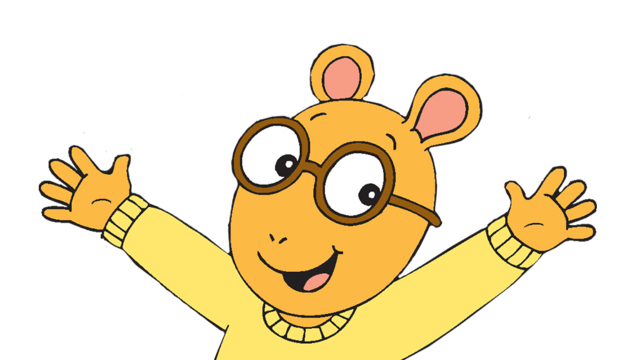 Welcome Arthur! 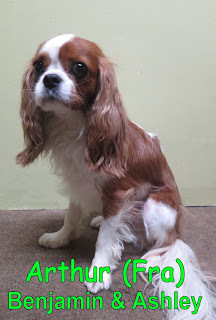 Arthur is a 3 year-old, 15 lbs., king charles cavalier. He came into Fort Fido ready to investigate the surroundings his sibling Maximus enjoys. Arthur got to meet many pups within our Small Dog Program today and was sociable with them. He more so enjoyed playing with the toys, but still had a great time around the others. We are glad that we were able to meet Arthur today. Yesterday, we had the pleasure of meeting this adorable little pup named Finn. He is a three-month-old, eleven-pound, Miniature Australian Shepherd. 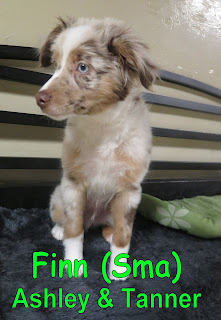 Finn had a fun time chasing the ball and getting to know the dogs in our Small Dog Program. He did a great job and is welcome back anytime. We look forward to seeing him again soon. We welcomed this joyful pup into The Fort Tuesday morning. 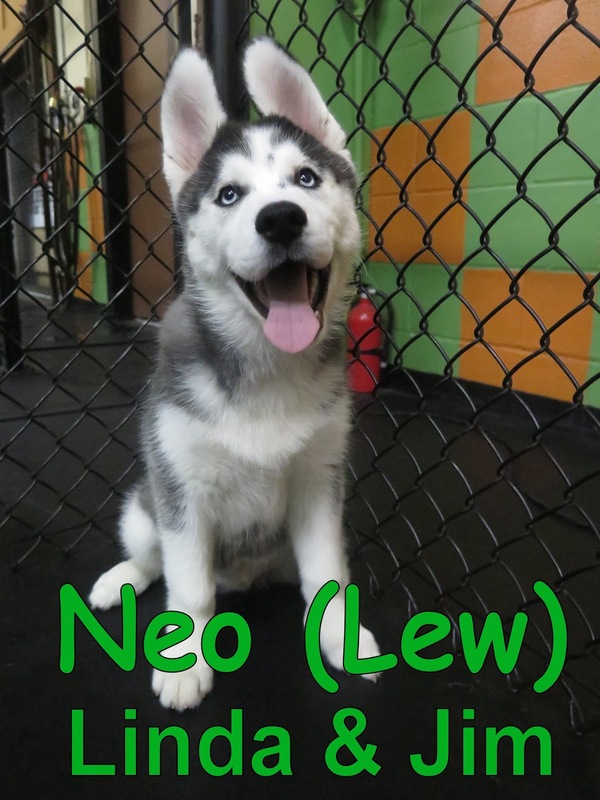 Neo is a three month old Siberian Husky that weighs only twenty six pounds! This young one is quite the little ball of energy! (As expected. Did you know some Huskies can pull over three times their weight?) Overall, Neo got along great with the rest of his new daycare buddies. He's very high spirited, curious, and bright. I love his super alert, well furred ears. We were able to capture his playfulness on video, check him out below, playing with his new friends Hank and Frankie ! Today we had the pleasure of meeting Finnley! 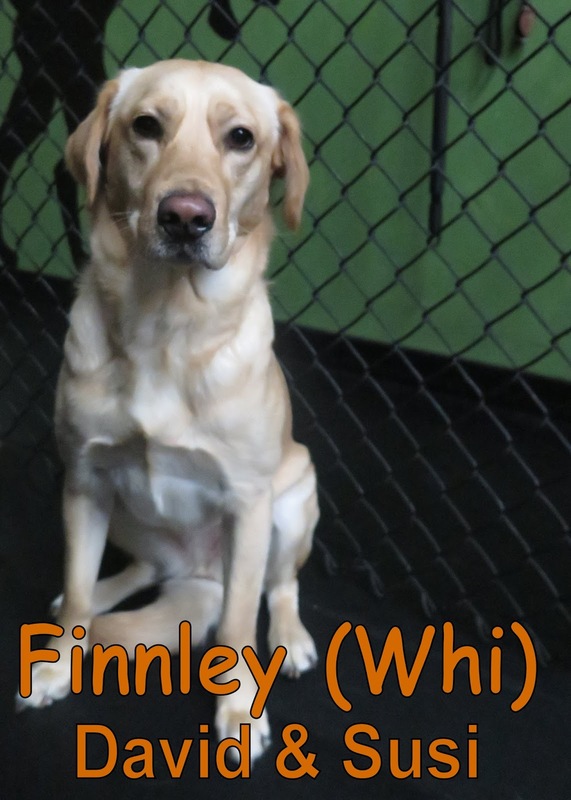 She's a two year old, fifty pound Field Lab. Finnley passed her assessment with flying colors. Even though we just met her, this isn't the first time we met her parents, David and Susi. We met those two years ago, when they brought in their other dog, Grady, around 2011. All in all, Finnley had a great first day and seemed to fit in with her brother's pals like she's known them for years.